Contact us for banner placements at admin@thepugs.org. This July, a joint BALASA! 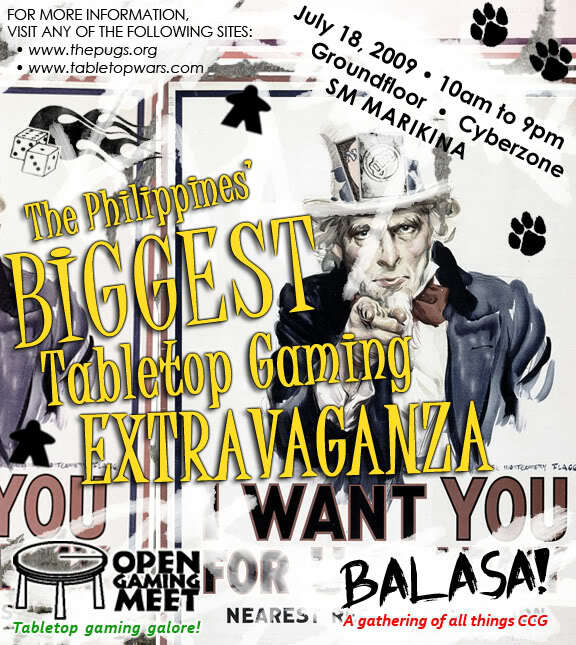 / Open Gaming Meet will be held on the 3rd Saturday of the month, July 18, at the Groundfloor, Cyberzone, SM Marikina, from 10am til 9pm. For those not familiar with how to get there, you can download a printable JPG map from HERE. - since this will be held at a Mall, please refrain from bringing in a lot of games. We suggest 1 to 3 games per participant, maybe 4 if the games are all small. - as much as possible, bring at least 1 gateway game, since having the event at a Mall gives us the opportunity to get walk-ins hooked to our hobby. - there will be a baggage counter and game counter to ensure the safety of your possessions. P.U.G.S holds regular monthly events called Balasa for its Contenders and opens these to anyone interested in CCGs of any sort. Want to share your love of your fandom? 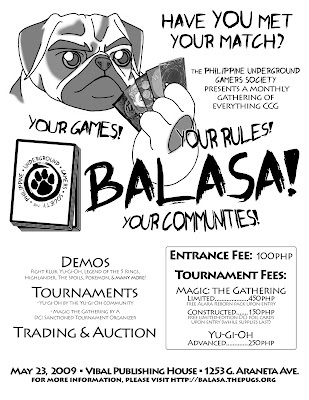 Why not do it by teaching others how to play your fandom’s CCG at P.U.G.S events like the Balasa? Want to learn how to play the CCG of your fandom? Chances are you will find someone in P.U.G.S who knows how to play it and will be more than happy to teach you. 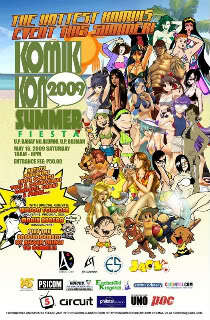 P∙U∙G∙S will be participating in the event Komikon: Summer Fiesta on May 16, 2009. As always, we will be demoing multiple CCGs/TCGs at our table, hoping to attract more players to the communities we support. During the event, we will also be promoting the "Balasa", a monthly event we are organizing, to promote the multiple tournaments we will be having. 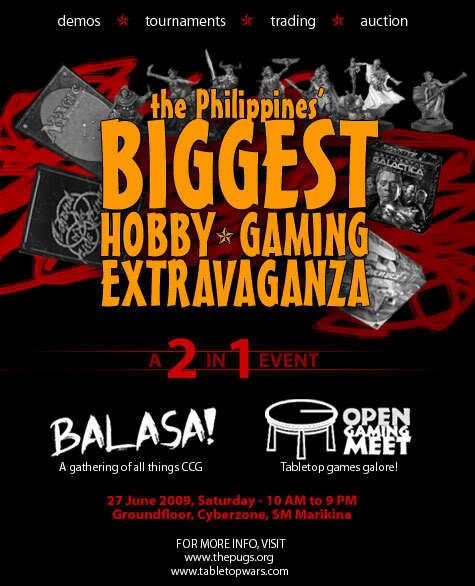 The "Balasa" will be, exactly one week after Komikon, on May 23, 2009. More details on that to come. We are always looking for demo teams for CCGs/TCGs we are not yet ready to demo on behalf of the community. If you are interested in joining the support/demo teams, please send us an email at admin@thepugs.org. We would be happy to give you time at the table to feature the games you love. As anticipated, we had a successful meet and greet for all the players and communities we've encountered these past couple of months. Because this site doesn't allow for comprehensive bulleting of the minutes, we've uploaded it to Fandom Café servers and everybody may access the full report here. » What are the P∙U∙G∙S Registration Schemes?